Support this Japanese developer, they are worthy of every penny you throw at them. 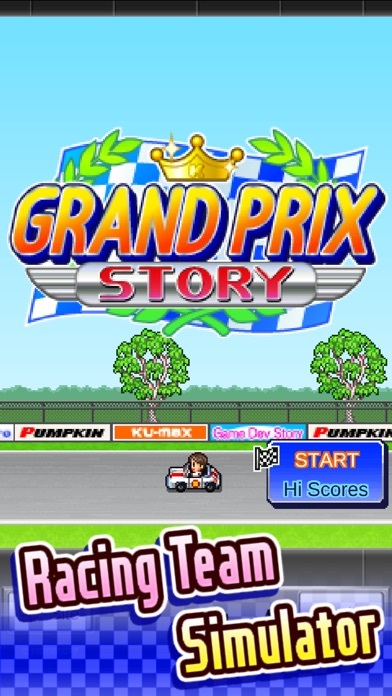 This is essentially my dream game; it's got cars, strategy, endless replay value, and incredibly cute pixel art. 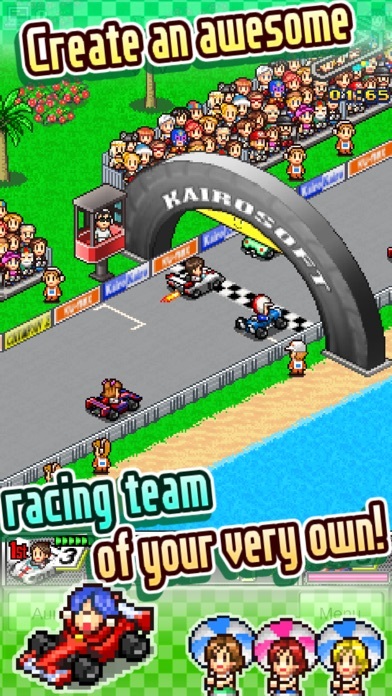 Buy this game now, and for that matter all of Kairosoft's games, or I'll personally turn you into a ham loaf. Please? EDIT: Also, those moronic, Angry Birds loving, potato chip eating, mentally bankrupt people who gave this game a poor rating can go jump through an elevator shaft. Those who only like games where you can shoot people in the face don't really get the concept of "thinking". 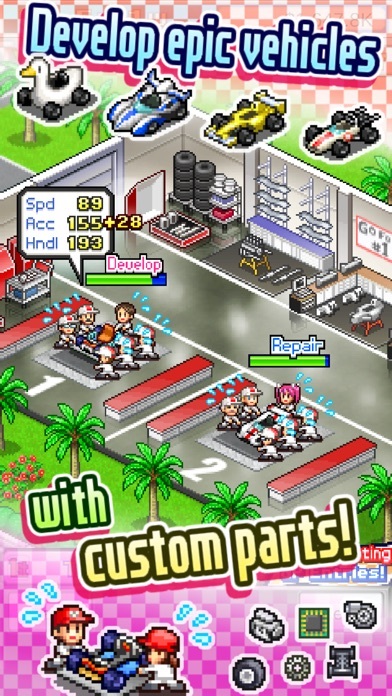 Everyone is entitled to their own opinion, but come on; this is the best game out for the iPhone, only rivaled by the other Kairosoft games. This is the game dev (pun intended) we've all been waiting for, ladies and gentlemen. Just give them the mic and let them do their thing. You won't be disappointed. In case you didn't notice, the "mic" is your money. 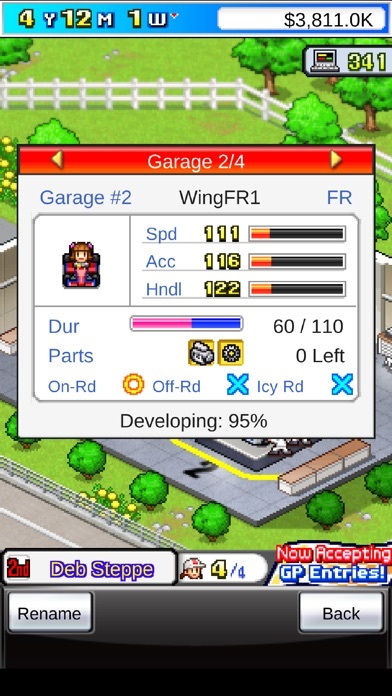 I haven't enjoyed a Kairosoft game this much since Game Dev Story, but that's because I am not a big fan of the space management and planning layouts. This game has gone back to the roots of purely hiring, upgrading, and researching for your racing team. I know some people may find it tedious to watch your racer participate in the races, but I find it exciting to see the races unless I'm losing for sure. Perhaps putting in an option to skip races would appease some of the unsatisfied customers. The only problem is to beware if you're playing on a 2nd generation iPod Touch. The training menu and the picture of your team is flickering which is quite annoying which give me headaches after prolonged periods of playing. 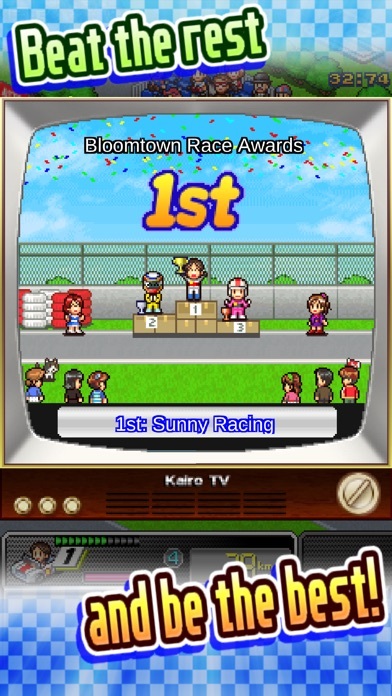 I have heard of the case from a few people with 2nd gen iPod Touches and I hope Kairosoft fixes the problem because it is inhibiting the enjoyment of the game. I got introduced to Kariosoft through the app game "Game Development Story" and further addicted when I decided to give "Hot Springs Story" a shot, now their games are on my "automatic buy" list. Truthfully, I was a bit wary of buying this game because I generally don't much interest in racing, but I'm glad I pushed those feelings aside and bought it. There's a satisfying feeling I get when I watch my driver race around on the track in the souped-up car I just upgraded, and watching what he does to figure out what new parts should be installed and what upgrades should be applied next. Also, there's another satisfying feeling when you're utilizing your time when you sign up for new races and while you're waiting for the race to begin, you can put in some research or some repairs to ready yourself. I can't wait what else Kariosoft releases next!